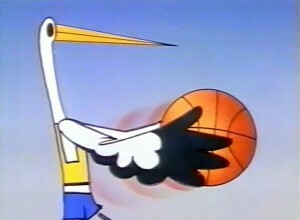 Mascot of Euro-basket 1987, a pelican, created by Giannis Georgariou. The 1987 European Championship, was the 25th FIBA EuroBasket basketball championship, held by FIBA Europe. It was held in Greece between 3 and 14 June 1987. Twelve national teams participated in this event. It took place in the Peace and Friendship Stadium in Greece was the hosting venue of the tournament.Greece, won its first FIBA European title by defeating the defending champions and heavily favored Soviet Union, with a 103–101 score in a gripping final decided in overtime. 30 years ago in 1987, the Greek National Basketball Team wrote its own history by winning the Euro-basket. A whole generation was proud and all of us, who were lucky enough to remember this -even if we were kids-, we felt that we can change our future if we work hard and together. It is true that the Greek sports have been changed since then. 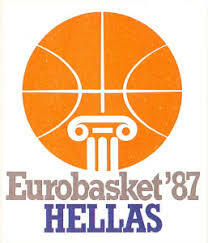 80’s generation was marked by this fact, It is true that this brought many positive effects in Greek athletic games. We finally believed that we can achieve our goals. The magic of Athletic games is that can unify a nation nevertheless many other problems caused conflicts and disagreements. Mr Pavlos Tsimas journalist presents the unknown stories of the historical Greek basketball success to win European basketball championship in 1987 .Playes of that team: Panagiotis Giannakis, Panagiotis Fasoulas, Argyris Kambouris, Nikos Filippou, Costas Politis and George Vasilakopoulos return, 30 years later to the SEF stadium, where the Eurobasket 1987 took place, they recount how this team made the impossible and talk about what is the footprint of this historic success. … πήγαινα τρίτη γυμνασίου. Έμενα ( όπως και ακόμη μένω) στη Νέα Σμύρνη και η πλατεία είχε αποκτήσει τάφρο από τις πολλές φορές που τη φέρναμε βόλτα για να βλέπουμε από μακριά το Φάνη Χριστοδούλου(Πανιώνιος) και τα άλλα παιδιά, που πίνανε τον καφέ τους εκεί, στου “Γιώργου”. … Οι Νεοσμυρνιώτισσες συνομήλικες με καταλαβαίνουν!! !